Many people may not always understand the difference between a Registered Nurse (RN) with a Bachelors of Science in Nursing (BSN) and a nurse that has a Master of Science in Nursing (MSN). As a result, they many not always understand why it may be necessary to get a master’s degree just to do the same job. One may just think that all they really need is a bachelor’s degree. Depending on what your career goals are, that may be all you need, but it’s important to know and understand all of your options if you plan to invest your time and money into the nursing profession. It’s all going to narrow down to what you want to achieve in your career as a nurse. If you’re more comfortable administering to patients, then becoming an RN will be sufficient. However, if you are more interested in the administrative part of nursing, then pursuing an MSN will be a better choice. If this is the career route you’d like to take, then your academic career will have to reflect that. Just like a high school diploma is needed to apply to a college, you won’t be able to get an MSN without earning your bachelor’s degree. It’s not uncommon for someone to get a bachelor’s degree in a field like Natural Sciences, Respiratory Therapy, or any other kind of academic science program, and then apply for a masters in Nursing. However, for students who are already on the nursing career track in their undergraduates studies and intend on pursing their masters in Nursing, Florida National University’s (FNU) RN to MSN’s academic program is the perfect fit. FNU’s MSN’s graduate program is designed to build on the nursing and educational experience that the student acquired during their studies under the BSN program. If you are already an RN, the RN-to-MSN will work for you too! This program is considered somewhat of an accelerated curriculum because it is designed with the assumption that you already have a general knowledge of the nursing industry. You’ll have a stronger foundation of the nursing industry. The nursing profession can be a rewarding career. Assisting physicians and caring for patients is a respectable and highly skilled job that requires a significant amount of education in the medical field. Enrolling in the RN-to-MSN program allows students who are already in the nursing profession to build on the skills they already have acquired. An RN to MSN offers you the opportunity to advance your career. Nurses that have earned an MSN have the choice of specializing in a certain field of interest. Whether you have an interest to work with patients in pediatrics, geriatrics, or mental health, a master’s degree in Nursing will allow you to do this. Also, if you have the desire to operate on the administration level of the nursing field, FNU’s MSN academic program will also allow you to do this. You’ll be equipped to work towards a doctorate’s degree. 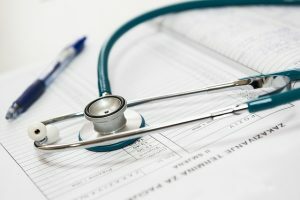 If your ultimate goal is to be a practicing physician, the recommended academic route is to find a college or university that offers a BSN-to-MSN program so that you can easily transition from one curriculum to another without having to adjust to a different school with the fear of possibly losing some credits every time you complete a degree. Earning your RN-to-MSN at FNU gives you the flexibility to collect all of your credits under one accredited educational institution. As an FNU MSN graduate, you’ll also be more educated to pass licensing laws. You can submit your application to the medical schools of your choice having confidence that you’ve gotten the best education possible to prepare you for your doctorates. The ability to have more independence while on the job. Because of the round-the-clock demands of a nurse, you’ll have the option to work whenever you want. The nursing profession is a demanding one, and it’s one that never stops, which means nurses are needed 24 hours everyday of the week. Shift hours typically are first (morning), second (days), and third (early am) shift. These choices of shifts offer you the flexibility to work during a time that is most convenient for you, provided that the medical facility you work for allows this. Depending on how the administration is organized, there might be set shifts for nurses to commit to, but the hourly demands may have to require flexibility. MSN programs are more flexible these days. Speaking of flexibility, FNU’s RN-to-MSN program gives you the opportunity to earn your degree 100% online. This is most beneficial for nurses who are seeking career advancement. The flexibility of earning your master’s degree online allows you to not only work as an RN but also gives you the option to choose a class schedule that works with your availability. When it comes to clinical hours, an RN might be able to apply them to their current job if FNU has an agreement with that particular facility. This of course, is applicable to students who live in the South Florida area. Working as an RN with an MSN has the same tasks as a nurse with a BSN when it comes to the practical foundations of nursing. However, with the MSN program, you’ll learn a wide range of experiences that are categorized into two specialties: Nurse Educator and Nurse Leadership and Management. View a detailed curriculum of this program here. FNU’s RN-to-MSN program requires a total of 55 credits to graduate, 18 of these credits are committed to the concentration of Nurse Educator or Nurse Leadership and Management. To get more information about all of FNU’s Nursing programs, contact FNU’s admission’s department to schedule an appointment with one of our academic counselors today.